The National Association of Professional Women announced its partnership with professional golfer, Paige Mackenzie, a veteran of the LPGA Money List and former No. 1 amateur/college golfer in the nation. Paige will represent the almost 400,000-strong NAPW membership at LPGA events as NAPW launches its inspirational nation-wide television ad campaign underscoring the NAPW vision statement: The Power To Be You ®. National Association of Professional Women is the nation’s most inclusive network of women, embracing the talents, achievements and ambitions of women from all walks of life. NAPW provides an extensive roster of social, educational and career-based forums to promote members’ access to life-changing opportunities for growth and fulfillment. 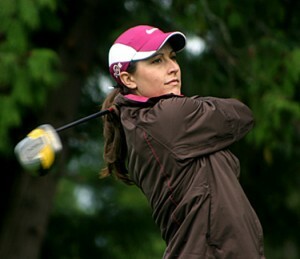 As a gifted college athlete at the University of Washington, and the school’s first female golfer to win the Pac-10 Championship individual title, Paige rounded out her senior year by being honored as one of golf’s Top Amateurs of 2006 while also earning her undergraduate degree from UW’s prestigious Foster School of Business.